Timothy Dwight School in Fairfield is named for a local theologian who lived, worked and died in Connecticut 200 years ago. Timothy Dwight School in Fairfield is named for a local theologian who lived, worked and died in Connecticut 200 years ago. Timothy Dwight was also an educator and poet, and was even the eighth president of Yale University. He died on Jan. 11, 1817. “Dwight, the grandson of Jonathan Edwards, preached New Light Calvinism but as a scholar he also believed in the advancement of science. 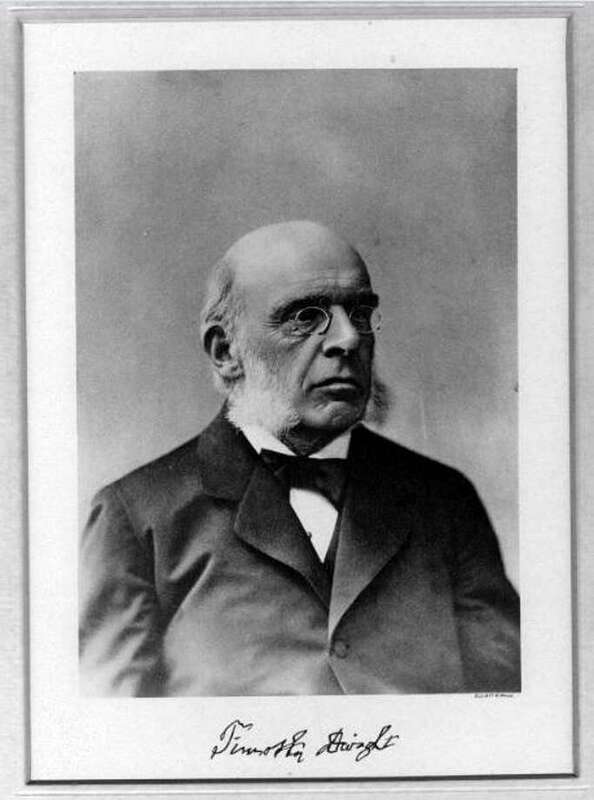 He saw no conflict between the two and viewed the ‘study of nature as an exploration of the nature of God.’ This contrary view to the dogma of the time gained Dwight national recognition as a preacher in Fairfield.” He was a minister at Greenfield Hill Congregational Church and also founded Greenfield Academy, a prestigious school that was later renamed Dwight School. The Fairfield Museum & History Center and Museum Shop, located at 370 Beach Road, is open seven days a week, 10 a.m. to 4 p.m. Members of the museum and children under 5 are admitted free. For more information, call 203-259-1598 or visit Fairfieldhistory.org.